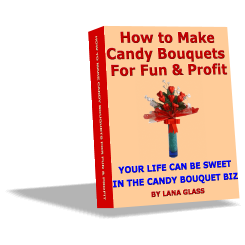 Recently, Candy bouquets have become a popular gift together in addition to gift baskets. Many times, I saw an individual’s eyes sparkle when they received a candy bouquet. I can understand why. Here are a couple of great candy bouquets. Make one of these edible creations (fruit bouquets or edible vegetable arrangements) and be the hero of the party! 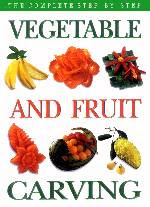 This beautiful large hard cover book is a complete English language teaching manual of Thai fruit and vegetable carving. Color photographs across double spreads show the finished piece together with the step-by-step process in getting there. Other sections show the carving tools needed, the fruits and vegetables used and the methods of storing the carvings so they are ready to be the center-piece on your table. The vegetable used are carrot, tomato, cucumber, Chinese radish, eggplant, leek, shallot, chilli and radish. The fruits used are apple, pineapple, papaya, cantaloupe, guava, water melon, yam bean tuber, mango, rose-apple, sapodilla and jujube. Listed below are the different classes offered by Veggy Art and the answers to some frequently asked questions. If you would like to see the locations of upcoming classes, events, and demonstrations, please view the Class Schedule and Events Calendar. Class sizes are kept to a minimum to ensure that each student receives plenty of personal attention. A simple technique, taught only by Chef James Parker, the Founder of Veggy Art. His personality matched with his passion for carving, will make it easy to learn how to create a beautiful, edible floral centerpiece made with every day fruits and vegetables. You will learn how to use new tools for cutting both fruits and veggies, as well as, learn how to make gorgeous fruit trays. Most of all, you will find a new respect for fruits and veggies that will have you looking at produce in a whole new light. You will never look at produce the same way. Chef Jean-Marc, Owner of Creative Designs by Jean-Marc, has been carving fruits and veggies for over 20 years. 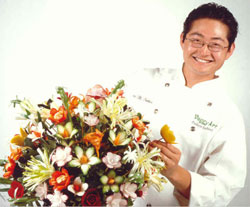 He was trained in Thailand and continues training every year under one of the most celebrated carving chefs in Thailand. In his class you will learn how to pick out a perfect piece of fruit for carving. He will give you tips on the best ways to preserve a carving for lasting freshness, and show you how to use natural fruit colors that result in the most attractive carved pieces. You will learn how to carve 3 different advanced patterns. This will include: The Honeydew Dahlia, The Closing Watermelon Rose, and The Multiple Open Rose Watermelon with a Design using the Rind. Previous carving experience is highly recommended. Instructed by Chef Ray L. Duey, C.E.C. A Certified Executive Chef with the American Culinary Federation, Chef Ray Duey, has been carving, cooking, and entertaining in places all over the country. He has participated in several Carving Competitions and has received many awards for his accomplishments. Chef Duey will show you how to create beautiful scenery and sculpt amazing creatures out of everyday veggies. Carrot phoenixes, cucumber turtles, crookneck squash birds, Daikon butterflies, dogs, monkeys and so much more !! Come Join the fun and see why Chef Duey says, “This Class, [it] will really be like a Zoo”. How do I enroll in the next Veggy Art Class? In this post it will be my effort to post the maximum number of links to Vegetable and Fruit Carving courses and classes all over the world. Internationally Vegetable Fruit Carving is generating a lot of interest, with almost all culinary professionals taking to learning this fantastic art. Let us check out the opportunities available. This post promotes course in UK, London and nearby places. Produce-carver Jimmy Zhang (founder of Art Chef, Inc.) leads a six-Saturday course in crafting edible birds, flowers, and much more. 10:30 a.m. OACC.cc. $50 per class, plus a $10 materials fee per class. Also teaches in Mainly Birmingham and the West Midlands but will consider anywhere. Make Enquiry. Great Summer food, made easy Welcome to Brook Hall Cookery School, which I opened after six years as Chef Director of the Raymond Blanc Cookery School at Le Manoir aux Quat'Saisons. Make the most of summer entertaining with our fantastic seasonal cookery classes: Barbecue Cookery: Inspirational but easy dishes for outdoor entertaining, cooking on Weber's fabulous range of gas and charcoal barbecues. As a sequel to my earlier post on various vegetable fruit carving videos, here is a collection of some more great videos, collected from the internet. Some of them are fruit carvings, vegetable carvings from various regions, which have their own distinctive style, and finesse. I am sure you will like these videos. Carving Fruits - A great video showing Exquisite Fruit carvings! Khmer live! how to do a bird carving. Khmer live ! how to carve a Riya Rose. Khmer Live ! Melon #1 how to do swan Carving . Khmer Paring Knife Techniques-How To Do Speed Cut Lemon Crown. Some more special videos in my next post. Enjoy these till then. Vegetable and Fruit Carving Image, photograph, picture Gallery! With so many hundreds of sites of Vegetable and Fruit Carving on the internet we have an array of wonderful Pictures, images, photographs, video of these exquisite art creations. I have selected some of the outstanding sites on which these galleries are available so that the reader can access them easily, rather than keep searching for the same themselves. Hope you like these collections. The links are given directly to the parent site so that after you are done with viewing the fantastic gallery, you can access the home page of the respective sites to check out other offers. Each Gallery seems to be better than the one earlier. I am sure you will not rest until you have seen them all! Carvings by Pat - Samples of Fruit and Vegetable Carvings! I am sure you will take some time to enjoy this gallery, so till them, I am scouting out for some of the best Vegetable and fruit carving videos. Bye! See Ya! Vegetable and Fruit Carving with 3 CDs Free shipping! 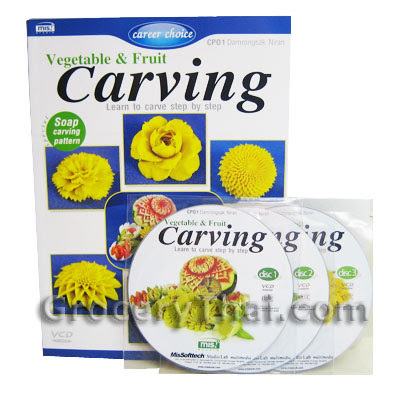 Vegetable and Fruit Carving Learn to carve step by step by Damrongsak Niran comes with 3 CDs and booklet in English. The CDs are in Thai language with English Subtitle. ISBN 974-94699-1-7. Published by MIS Softech, Thailand. This item includes free shipping. This item will be ship directly from Thailand. It may take around 14-21 business days within the US or up to 30 for Alaska, Hawaii and other countries. Whether you are having a small intimate home event or coordinating a large corporate event, Ice King Creations has the certified, professional staff and resources to meet your needs within your budget. Serving the following Southern California communities: Los Angeles, Malibu, Santa Barbara, Culver City, Pacific Palisades, Hollywood, West Hollywood, Mar Vista, Manhattan Beach, Santa Monica, Hermosa Beach, Marina Del Rey, Venice, Sherman Oaks, Burbank, Ventura, San Diego, Brentwood, San Bernardino, Glendale, Pasadena, San Francisco, Huntington Beach, Anaheim, Long Beach, Northridge, Van Nuys, Beverly Hills, Bel Air, Laguna Beach, Costa Mesa, Rancho Palos Verdes, Oxnard, Ojai, Santa Clarita, Santa Paula, Torrance, Inglewood, LAX Airport Area. Here are a collection of some great Vegetable Fruit carving videos I just saw, and liked them so much I thought of posting them here for my wonderful audiences! Have a great time Friend! The watermelon carving I did. One side has roses, and the other shows the "I love you" sign in sign-language. Pumpkin carving pictures from pumpkingutter.com. a video. Stephen Clarke's world record performance for fastest pumpkin carving. Spectacular Vegetable and Fruit Carvings - too pretty to eat! Some more great Vegetable Carvings in this video. I'm going out to look out for some exception videos, so till then have a great time Friends! 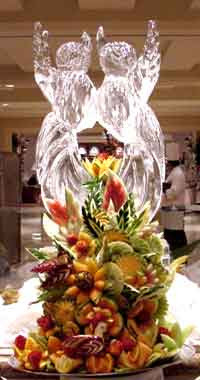 In the previous posts we dealt with Courses, classes and other educational mediums for learning Vegetable Fruit carvings. But what use are those lessons if we do not have the right tools for this great Art. The use of proper tools in carving is as much important a part as the art itself. If you have the right tools it, not only makes it easier to create various pieces of art, but also makes the job of the person carving much easier, and enjoyable. So in this post I will be giving you information and links to site which offer these tools and information on how to use them. There will be online facility for purchase on most sites. So enjoy your shopping. 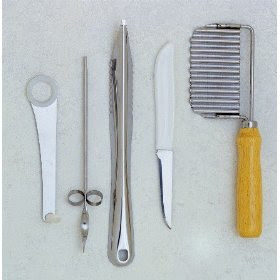 Food Garnishing tools - Kits, mandolines, fruit & vegetable carving tools for all your tool requirements like. 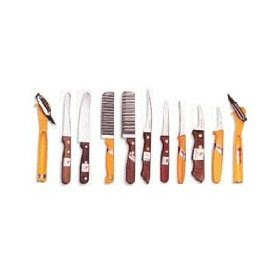 Go to the site and check out some fantastic garnishing and carving tools for Fruit and Vegetables. 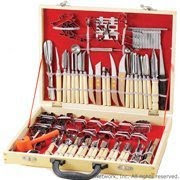 Hope yu have a great time shopping for the required tools. The above two sources are big enough to suffice your needs, however more such links will be posted short;y. Happy Shopping! Vegetable Fruit Carving Courses INTERNATIONALLY. In my endeavor to present the best information about this great Art o f Vegetable Fruit Carving, I have in this post tried to get the information and links to the best of the Vegetable and Fruit Carving Courses available over the internet. I have posted the direct links of the sites so it will be easy for the reader to connect with the site directly. Wish you all have a great time, and come up with a good choice to enhance your skills. Here are some of the best links to sites I could find for Vegetable Fruit Carving Courses INTERNATIONALLY. Fruit Carving - Thai Food Fruit Carving Techniques and Training "Welcome to Krua Thai Cookery School"
Sai Institute of Carving. Exclusively for Catering Professionals! The Carving Institute Bangkok Thailand "The Carving Institute - Bangkok,Thailand"
Thai Carving - Fruit Carving and Vegetable Carving Using The Thai Ancient Royal Art of Fruit and Vegetable Carving! FRUIT CARVING AND VEGETABLE CARVING instructions, cooking classes school, MUMBAI, INDIA. Continuing my search for great information on Vegetable and fruit carvings, I found some great sites where the content about Vegetable and Fruit carvings is very nice. Not only is the topic covered at length but you will get various links to other information. Fruit Carving and vegetable carving techniques for Asian food cooking recipes! These are topics which may not be directly related to Vegetable Carving but do come in the preview of great cooking tips. 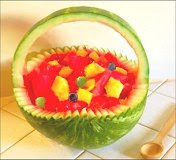 Another great site I liked is one which promotes fantastic Ideas and Patterns for Watermelon Fruit Carvings, with such good samples that you will be left gazing at the workmanship! Watermelons, turnips, pineapples and many other fruits and vegetables can be carved and combined into either elegantly simple or very elaborate center pieces or accents for your picnic table or indoor party decorations, and this is one site which gives you loads of it! Special mention is to Check out a special Web Supplement offered by them. This one really stuns you with great information of how to make Party Centerpieces, Garnishes, Fun Kids Projects and much more! 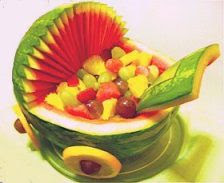 Check out these cute Preparations of Watermelon Fruit Carvings! These great sites offer so much in Vegetable and Fruit carving, it would surely take you a long time to try out each of the tips, and tricks they have given you. I am sure you are going to have a wonderful time. will be posting a few more great sites shortly , so keep a watch! Take care and Happy Carving!